There was lots of giggling during the taking of these photos as it was the first time my mum had used a Canon camera. It was a bit confusing during the first few shots so we were cracking up, but I don’t think these are too bad for her first go! Anyway as usual I’m rambling on. I do love this little number from asos. The light shades and the style of dress takes me back to being 4 again and going to birthday parties. Fortunately wearing a dress that may make me feel 4 again doesn’t mean I need to in fact act it. So to go with a party dress you need a drink of course. Summer may not be here yet but it doesn’t mean I can’t start on the summer tipples. Last week I spent the whole weekend relaxing, eating and sipping on Kold Frozen Cosmopolitan Cocktails. 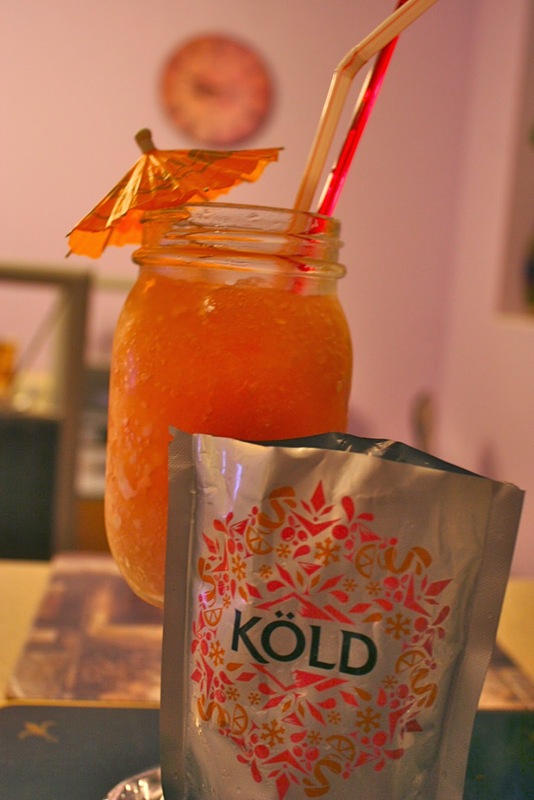 I’m a huge cocktail fan and unfortunately I’m no cocktail making expert so these Kold frozen cocktails are perfect for me. There is no need for a blender, simply put the packet into the freezer for a few hours and there you have it – a sweet, tangy and flavoursome Cosmo – I just need a waiter to go with them!